Wow, McG wasn't kidding when he said that Terminator 4 was going to be all work and no play. 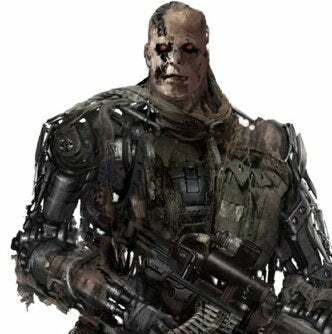 This "in between" terminator concept art looks like a half person, half robot, with a pinch of motorbike. It's a broken-down calamity, but scary as hell - which completely fits in the overall look of despair McG has promised fans in the new Terminator Salvation. Check out a gallery of robo-crazies, and prepare for the ultimate battle. Spoilers ahead.